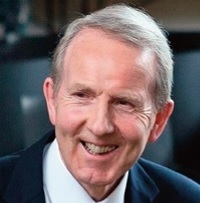 John Tilman is the Chairman of the Board at The Lilias Graham Trust. 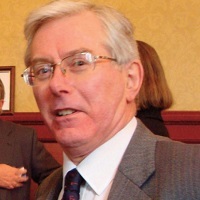 Before he retired, John was a Scottish Chartered Accountant. He has been involved with the charity since the 1980’s when he lived in Gargunnock and was a neighbour of Lilias Graham – our charity’s founder. John says that he would like to see the parenting capacity assessment service that The Lilias Graham Trust offers replicated in other cities across Scotland so that more families might be helped. John, who lives nearby in Port of Menteith and is actively involved in The Lilias Graham Trust, says it has been a great year for the charity – due to the dedication of Chief Executive, Cath Morrison and her team of professional staff. 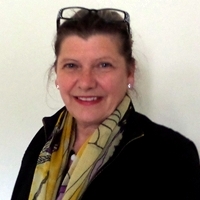 Sue was appointed as the new Secretary of the Board after long-running former secretary Annie Coulson resigned. 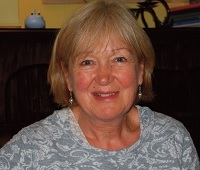 Sue previously taught English to foreign students at Stirling University. As well as being on the Board at The Lilias Graham Trust, so is also a member of the Board for Camphill Blair Drummond. 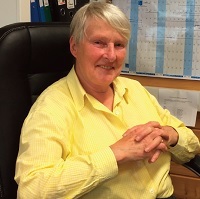 Sue says she hopes that The Lilias Graham Trust will be able to continue the excellent services it provides and would like to see an expansion of the Outreach Service. Richard is one of the newest members of the Board, having joined in the summer of 2015. He is a lawyer by degree but later qualified as a Chartered Accountant. Richard was invited by The Lilias Graham Trust’s Chairman, John Tilman, to join the Board and although he hasn’t been giving a particular role yet, he has been helping Belinda Macmillan with fundraising. Richard says he would like to see the charity’s activities and services being recognised as the “gold standard” in the area of family/children support. 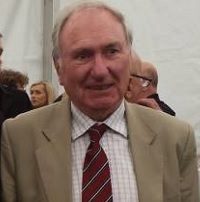 A member of The Lilias Graham Trust Board since 2008, Brian was the Headmaster of Queen Victoria School in Dunblane from 1995 until he retired in 2006. During his tenure, Brian raised the profile of the school worldwide, leading tattoo performances in Nova Scotia, Switzerland, Edinburgh and rugby/pipe band tours to as far away as Australia. As well as sitting on the board at the Trust, Brian is also an active member of Perth Rotary, Perth Left Bank Community Development Trust and was involved in coaching Scottish Junior Rugby. He and his wife, Jean, live in Perth. Glenys Jones is one of the most recent members to join the Board at The Lilias Graham Trust, though she has long been involved with the charity. As Head Teacher of local school Thornhill Primary, Glenys welcomed the children and families that stayed at the organisation into the community when it was known as Braendam Family House. Now retired, Glenys was a teacher, head teacher of two small schools and latterly a Quality Improvement Officer for Children’s Services. She says that she shares the philosophy of The Lilias Graham Trust in their support of families and children and says that every child has the right to be loved, nurtured and cared for in a safe environment. Glenys feels that the Lilias Graham Trust is a special place, where special people work and come to be supported. She is looking forward to being part of the development of further family units and perhaps a future plan for supported tenancy. Ewan Wallace re-located to Central Scotland in 2015, having lived and worked in the North and North East of Scotland for over 30 years. 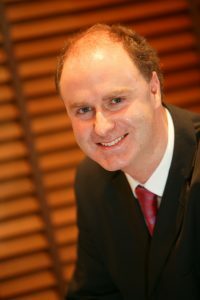 A Chartered Tax Adviser and Trust Practitioner, Ewan worked for two of the “Big 4” international accountancy firms and is a former tax partner in Scotland’s largest independent CA firm. A long supporter of the charity sector, Ewan believes that the dedication and commitment of the small team of professionals at LGT have made the real difference in helping clients achieve lasting and hopefully life-long benefits. As a student, Ewan was helped by Lilias Graham herself, and is keen to help repay some of the kindness she showed him through his involvement and support for the Lilias Graham Trust.